Double Stacks™ is the latest video slot powered by Netent, which has been released on the 24th of September 2018. The layout of Double Stacks™ is very similar to Twin Spin™ and Twin Spin Deluxe™ but it has some different features. If you like the classical layout video slots, you will surely like Double Stacks™. The theoretical payout percentage of Double Stacks™ is set to 96.10% and a possible max win of 1,000 x bet on each winning line. Double Stacks™ is a 5 reel, 3 row with 10 fixed paying lines video slot. 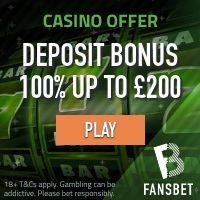 This means that the potential win on a single spin is €200,000 when playing at a max bet of €200! While playing Double Stacks™ video slot, players can trigger the Double Stack Feature and Double Stack Free Spins! When the same symbol is stacked and a winning line is performed the symbols double up to give a higher win to the player. Free Spins will be triggered when 3 or more Scatters land on any reel. 3 Scatters will award 5 free spins, 4 Scatters will award 15 free spins and 5 Scatters will award 30 free spins. During the free spin rounds, players can get more free spins if more 2 or more Scatters land on the reels. During Free Spins mode 2 Scatters will grant + 2 more free spins, 3 Scatters awards 5 free spins, 4 Scatters awards 15 free spins and 5 Scatters awards 30 more free spins! This is a very simple slot with a funky classic design and will surely have a positive impact on the players that are nostalgic of the old classic slots! Featured: Get No Deposit Free Spins on Starburst Video Slot! Footage of Double Stacks™ video slot! Get No Deposit Free Spins or Casino Bonus to play on Aloha video slot! 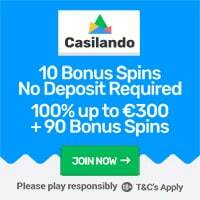 « 777 Casino Weekend Promotions!